Tópico em 'Europa' iniciado por Mário Barros 5 Jan 2008 às 14:46. Viva a Russia que mínimas agradáveis...ainda o Inverno começou á bocado. Mas que grande anomalia negativa na Europa de Leste e arredores. After a brief lull, west to southwesterly winds will increase later Tuesday evening, gusting to 60mph especially in exposed locations. Overnight the wind will continue to increase, gusting 70 to 80mph, with isolated gusts to 90 mph possible in exposed locations. The public are advised to take extra care and refer to Traffic Scotland for further advice on road conditions. Uma tempestade com fortes ventos atingiu na noite de ontem a Escócia e a Irlanda do Norte provocando caos no sistema de transportes e deixando milhares de casas sem eletricidade. O temporal provocou também a queda de árvores e postes de luz, o tombamento de caminhões e o alagamento de ruas e estradas. Ventos de até 130 quilômetros por hora levaram as autoridades a fechar as pontes Erskine e Tay, na Escócia. Até o momento cerca de 20 mil casas continuam sem luz e as companhias de eletricidade escocesas informaram que não poderão solucionar o problema até que a intensidade dos ventos diminua. As zonas mais afetadas pelo temporal foram Lanarkshire, Aurshire, e a costa oeste de Fife. A polícia de Strathclyde informou que os ventos derrubaram o teto do histórico Great Eastern Hotel em Glasgow. O vento também danificou o Hall universitário em Dundee e os edifícios do porto de Seabraes. Emergency services were called to a series of accidents as freezing temperatures led to tricky driving conditions in parts of England. Thousands of rail and road users were hit by travel chaos on Friday evening as more than 30mm of rain fell. On Saturday, West Midlands Ambulance Service (WMAS) said it was called to eight crashes within two hours as motorists struggled with black ice. 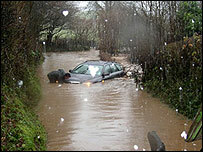 The South West and the Midlands were the areas worst-hit by rain and snow. A WMAS spokesman said: "We have had a very, very busy morning on the roads today and are urging motorists to take care as the cold weather is likely to continue." 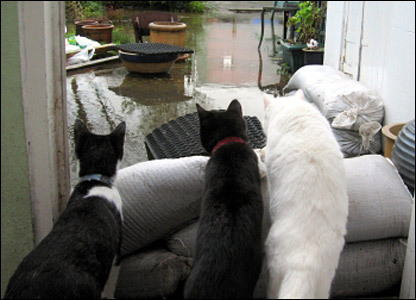 On Saturday, the Environment Agency said a series of flood warnings remained in place in the Midlands and South West. SHOCKED storm victims feared they could have died as gale-force winds battered Inverclyde on Tuesday night. Residents living in upmarket flats near the Esplanade were woken by a huge bang after part of a gable end crumbled. Many thought the noise was from Clydeport Container Terminal, but one pensioner who lives in Harwood Court in Campbell Street described the scene as being ‘like the Clydebank Blitz’. 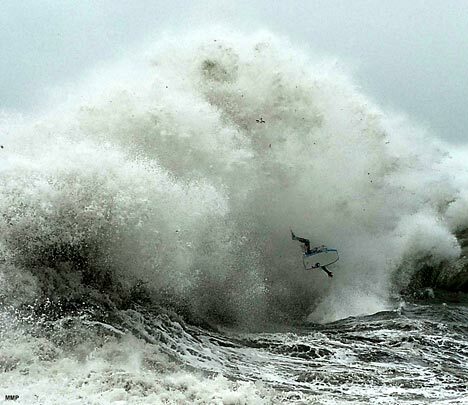 Widespread flooding caused chaos across the country today as weather forecasters predicted "there's more rain to come". As emergency services worked throughout the day rescuing people trapped by rising water levels in their cars and houses, forecasters predicted five more days of rain, beginning to ease on Monday. The weather has led to roads around the country being closed, while flights to Guernsey and Jersey and ferry crossings to Calais and Dunkirk were delayed. Rail services in the West Midlands, the South West and in Wales were severely affected by the flooding, with many routes not running any trains at all. 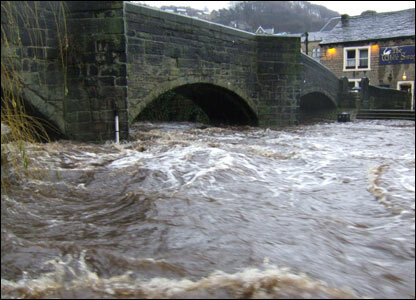 The country has already had two-thirds of the rainfall expected for January, according to the Met Office. 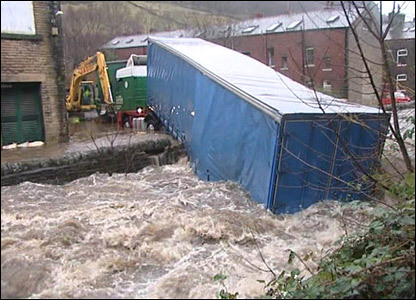 Dozens of homes and businesses were flooded in West and South Yorkshire, while schools and shops were closed. Rail passengers and drivers met problems as the West Coast main line between Lancaster and Preston was closed, and floods hit the M1 and M62. 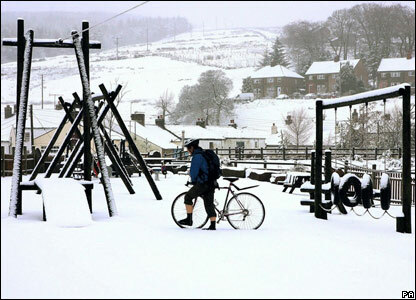 Elsewhere, heavy snowfall hit parts of north-east England and Scotland. The iconic world heritage site, one of the province's biggest tourist attractions, will be under threat if sea levels rise and storms worsen, said the National Trust conservation organisation, which owns and manages the site. The report warned that the site was at risk from coastal erosion and flooding over this century. 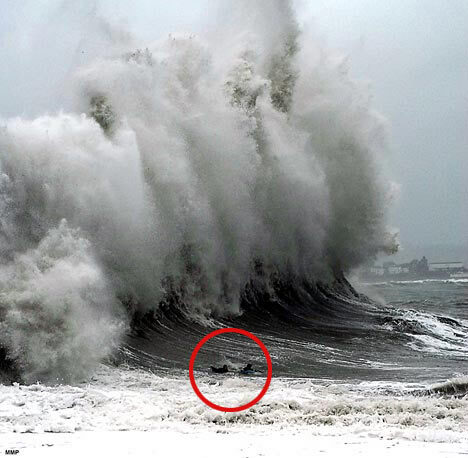 "In the short term (2020) increasing storminess would require increasingly rigorous hazard management, while in the medium term (2050-2080) slope instability and cliff retreat increase," the report said. The mystery of the red dust which has been appearing across South West Wales has been solved - and the answer lies a long way away.Residents from Swansea to Neath and Crynant in the Dulais Valley found their homes and cars covered in the grime. Many pointed the finger at pollution, but according to weather experts the dusty downpour was rather more exotic in origin - sand from the Sahara Desert. John Copner, from Ridgeway, Killay was one of those left to clean up the mess. "There was orangey-brown stuff all over the place," he said. "Everything was plastered with it. Em contraste, na parte Francesa, Geneve teve uma rica máxima de 2ºC. São localidades a sul dos Alpes. O vento tem estado a soprar de Norte. Deve ter sido resultado do efeito de foehn.